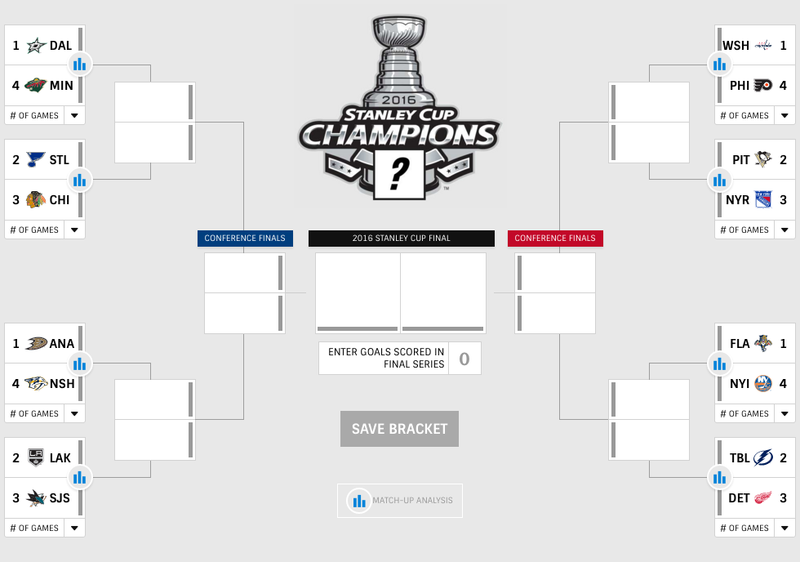 I decided to try and mix in a quick preview of the NHL Stanley Cup playoffs while also preparing for our own playoffs, so we’ll see how this turns out…naturally this is the shortest one I’ve ever done. For most of the year I’ve thought that there were only four teams capable of winning the Stanley Cup and as I look at statistics for the regular season, I feel the same way. 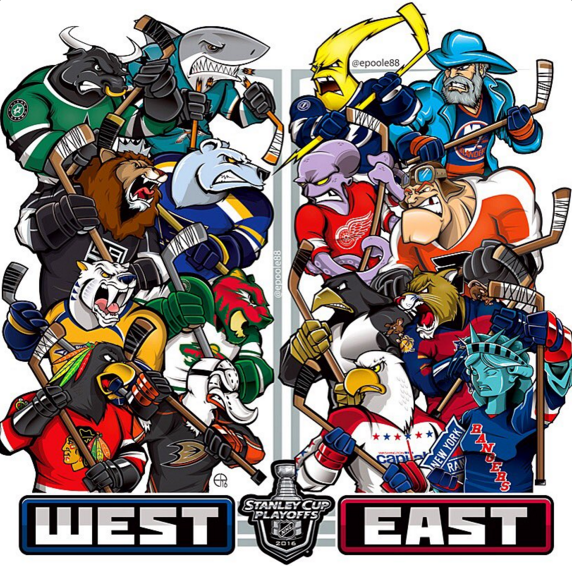 The real question is who will be the team that comes out of the Atlantic Division to play in the Eastern Conference Finals. It’s purely a toss up in my mind. I could go on a huge tirade about the current playoff format and how seeding it 1-8 would give us better matchups and not screw over teams like Washington and Pittsburgh, but I won’t. 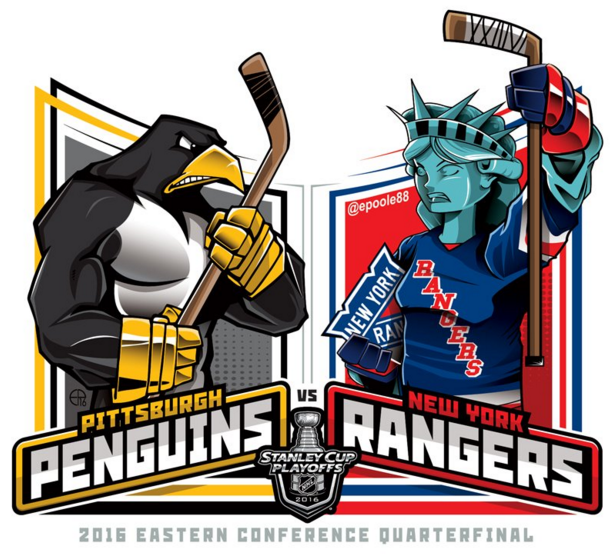 Is it logical that the two best teams in the Eastern Conference be forced to play each other in round 2? (Hint: No). Great goaltending is the true separation here. Braden Holtby tied the record for most wins by a goalie in a single season with 48 and also managed to post a .922 save percentage and a 2.20 goals against average. Add in the fact that the Capitals have a 50-goal scorer in Alexander Ovechkin, as well as Nick Backstrom and Evgeny Kuznetsov and I do not think the Flyers can match the offensive output. The Pittsburgh Penguins are 13-1 since Malkin got hurt. To be perfectly honest, I was not sure about the Pens chances without Malkin until I saw that stat. Sidney Crosby has had an unbelievable second half and if Olli Maata and Marc-Andre Fleury can be healthy for this series…watch out. The Rangers are quite banged up right now and the extent of the injuries are not fully known. Henrik Lundqvist had a solid season with a .920 save percentage and a 2.48 goals against average but will it be enough? 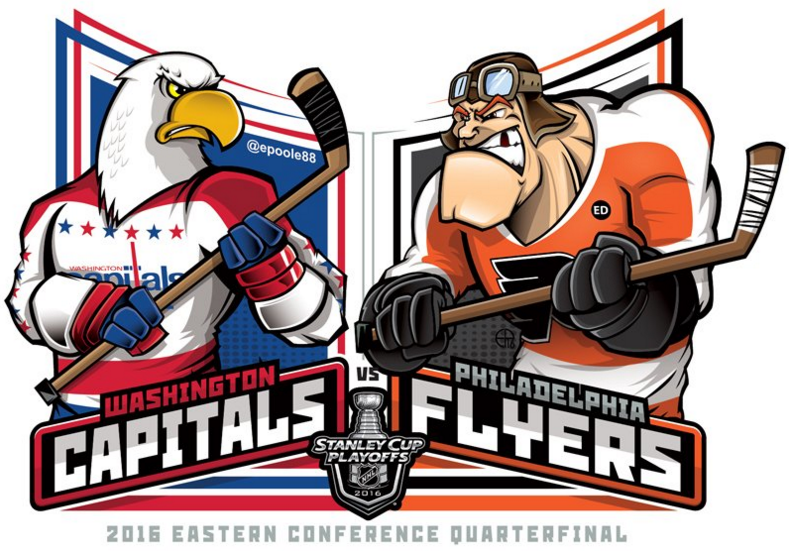 I think the Capitals are one of the 4 best teams in the league and it is unfortunate these two have to play now…realistically this should be the Eastern Conference Final. The Caps have been incredible all season but I think the Pens pull off the upset. The Capitals have a deep forward group and a sturdy blue line, but if Holtby falters, they will struggle in a hurry. They have not had to battle through much adversity this season, so who knows what will happen if they struggle early on. The Islanders would be a candidate to advance if Jaroslav Halak was not hurt. Thomas Greiss, or whoever else they deploy, are no match for the Panthers right now. Jaromir Jagr is in rare form and the emergence of Sasha Barkov has proven to be a huge benefit. Short of John Tavares putting the Islanders on his back, I do not see anyway the Isles come through. Panthers will clean up well here. 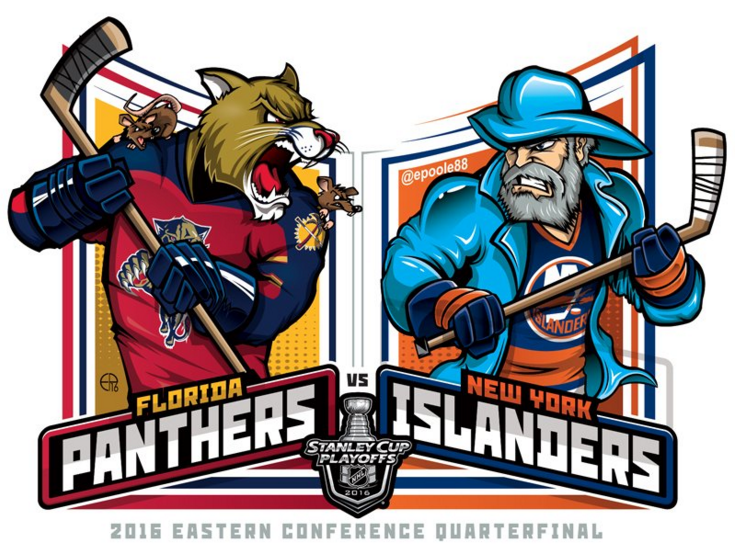 Panthers in 5…not 6. Flip a coin right now for this matchup. The Lightning are good but battered and no Stamkos is major trouble. Add in the fact that the Lightning are also missing Anton Stralman and Tyler Johnson is banged up and it will come down to Ben Bishop. Bishop, statistically, had the best season of any goalie across the board with 35 wins, a .926 save percentage and a 2.06 goals against average. 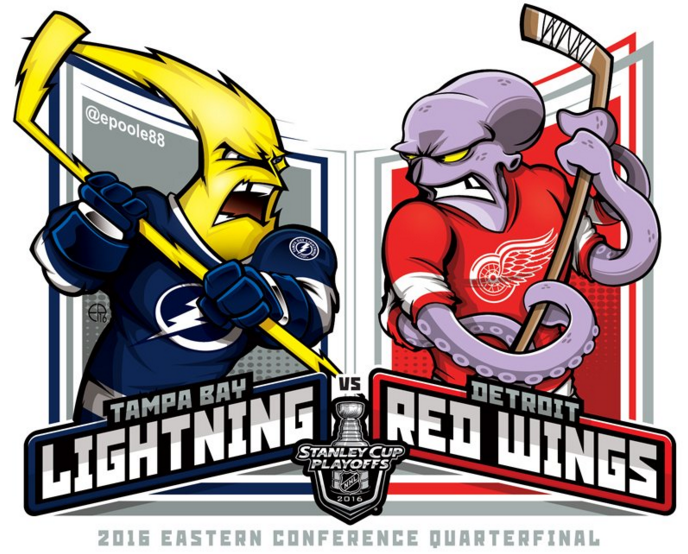 Bishop could carry the Lightning all the way to the Stanley Cup Final, but I do not see that happening this year. 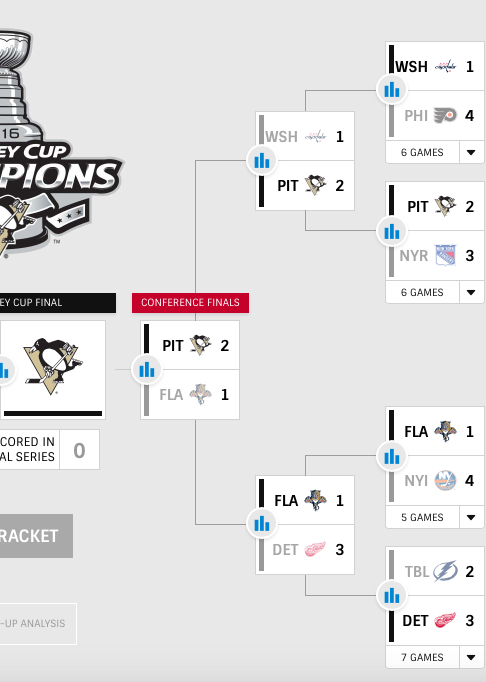 This entry was posted in NHL and tagged 2016 NHL Stanley Cup Playoff Predictions: Eastern Conference, Atlantic Division, Florida Panthers, Metropolitan Division, New York Islanders, New York Rangers, Philadelphia Flyers, Pittsburgh Penguins, Tampa Bay Lightning, Washington Capitals. Bookmark the permalink.